This is a worksheet on First and Second Conditional. There are two exercises In the first they have to write what they would do if... and in the second they have to schoose between the Frist and Second Conditional. This downloadable worksheet is recommended for elementary school students at Elementary (A1) and Pre-intermediate (A2) level. 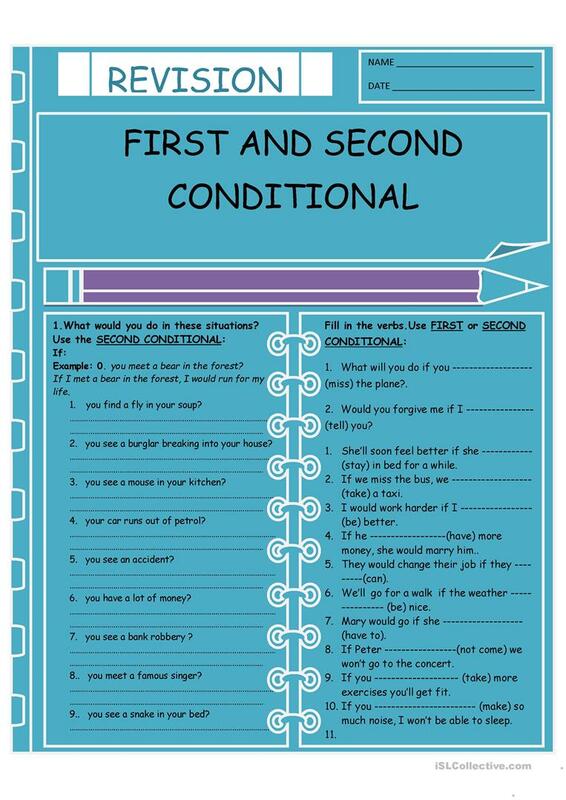 It is a useful material for practising Conditionals in English, and is a valuable material for enhancing your learners' Writing skills. zuzipr is from/lives in Slovenia and has been a member of iSLCollective since 2011-06-01 08:28:21. zuzipr last logged in on 2019-04-16 13:25:20, and has shared 124 resources on iSLCollective so far.